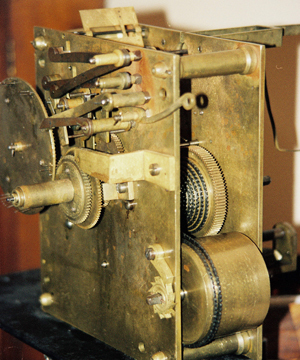 The dial has two key winding holes; one for the clock spring and the other for the recording mechanism. 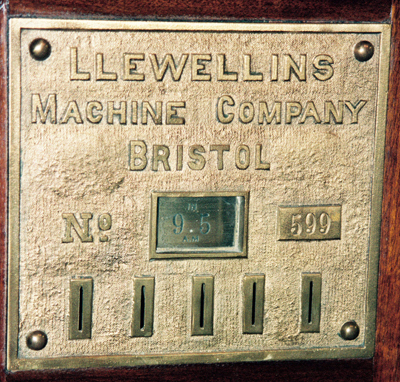 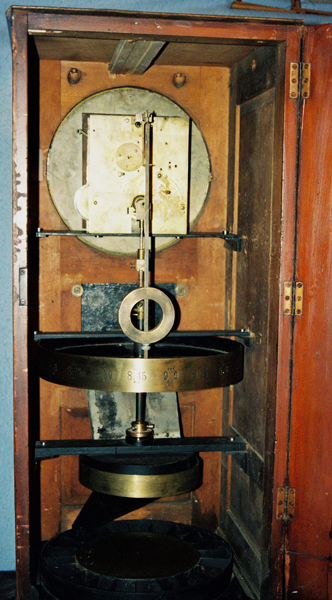 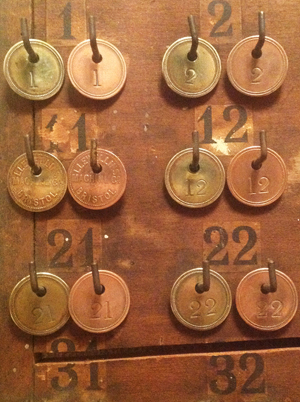 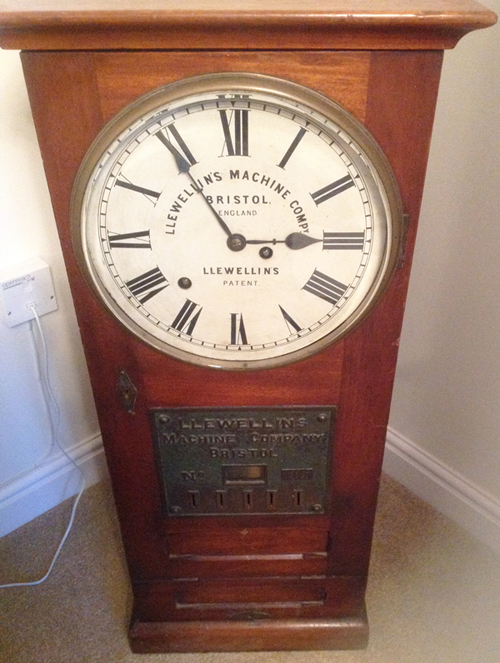 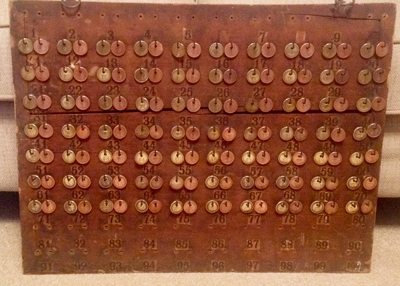 The front brass plate has a window to indicate the current clocking-in time period, and 5 slots for workers to put their own numbered 'check' into. 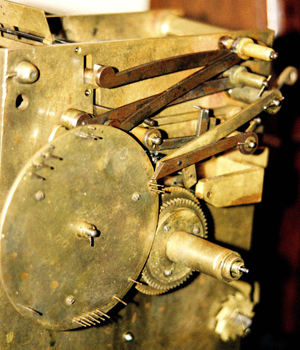 The slots all lead to the same internal chute, so any slot could be used and the machine copes with multiple workers at one time. 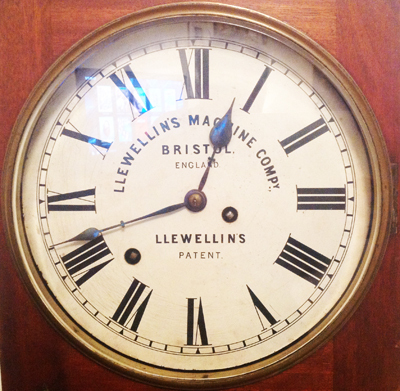 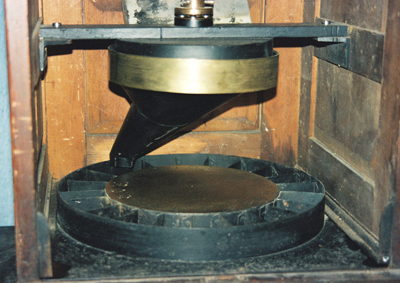 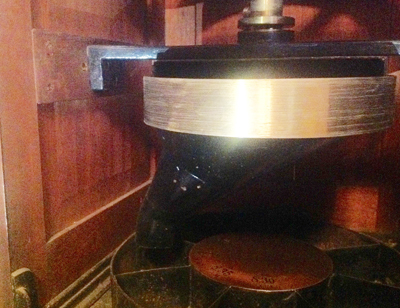 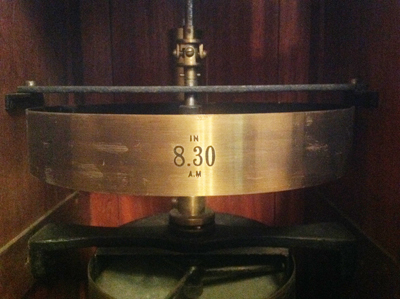 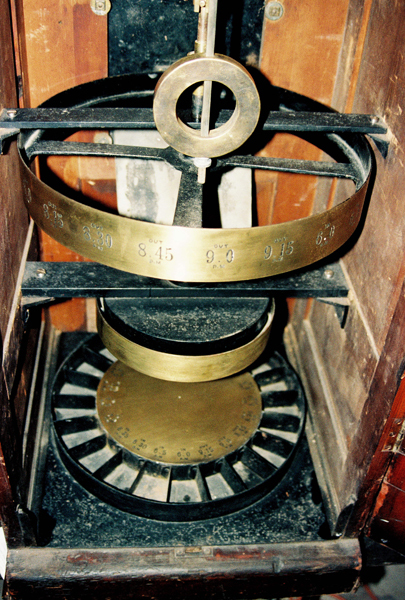 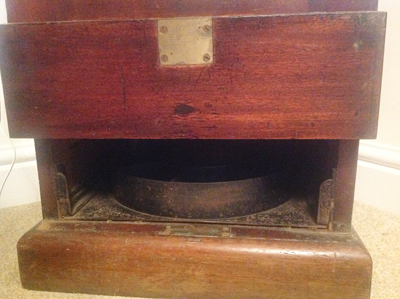 An internal brass drum stamped with 8 different time periods is rotated in synchronised steps by the clock mechanism. 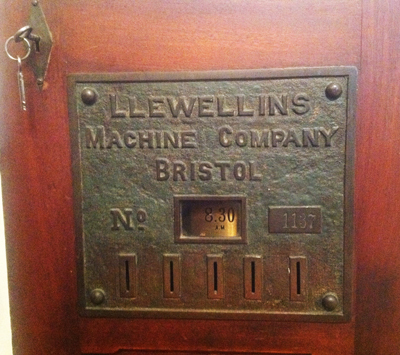 Presumably the time settings were customisable when ordering the machines. 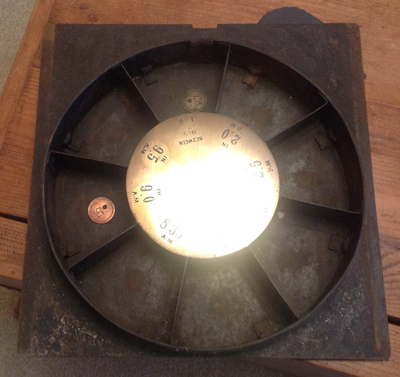 When the checks were inserted they fell into a chute which rotates with the central drum and directs them to the corresponding time stamped section of a segmented circular tray at the bottom of the machine.